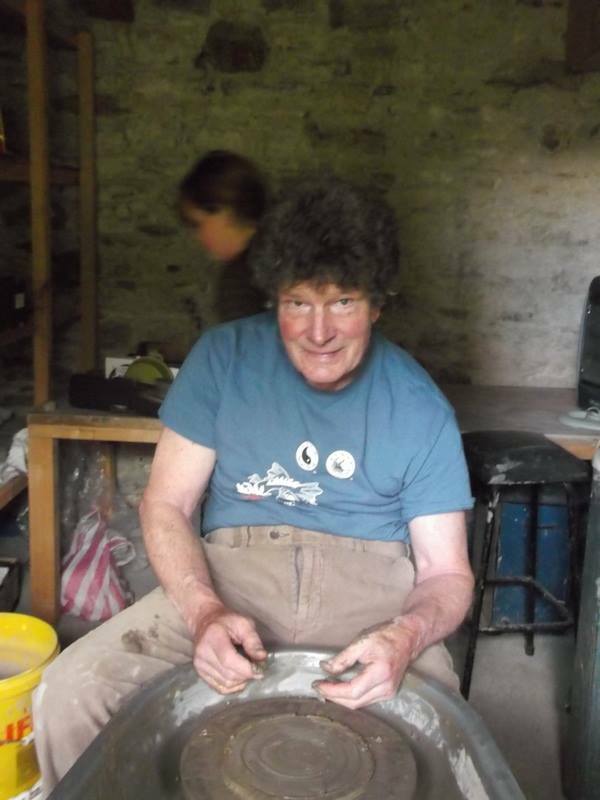 Paddy Rolleston at the Hermitage Potting wheel. This parable is the second guest posting here at Open Heart, Open Hands. My friend Paddy shared this parable with me the other day and he gave me permission to upload it. Paddy is a phenomenal local potter. 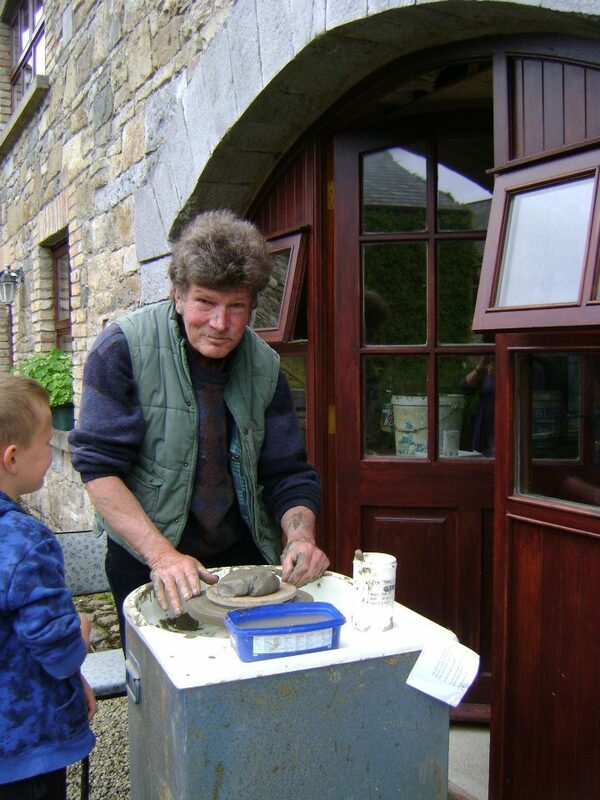 He comes regularly to this Hermitage for study, prayer and to share his gifts with others by teaching them to engage with clay and the process of creating pottery. I hope you enjoy this post by Paddy! There once was a worm who lived in Africa near a village. He liked the chatter of voices, and especially the singing. Once in a while he would come to the surface and perceive a vast space and huge things moving. Sometimes there was worship, and from these and the discussions that followed, he became aware of a creator and commander of this immensity. One day, the theme was about being a profitable servant, and this left the worm uneasy. With their vast power, people could do so much. What could he, a mere worm, contribute? All he could do was to eat soil in tiny amounts, and being underground, no one could see what he was doing anyway. In fact he became so depressed, he wished that God, whatever that was, would end his life. The best way, he reasoned was to get to the surface and be trodden on by some animal. A little later when he felt something big approaching, he made his way onto a stone. That way, he thought, he would be crushed and not merely pressed into the soil. He got onto the stone just in time. It was an elephant who noticed something unusual about the way the worm had moved. She stopped and asked what he was doing there. The worm was too unhappy to invent a cover story and blurted out just what he felt and what he hoped would happen to him. This confused the worm. He had assumed the elephant was God. Did God eat grass and almost starve? Then she took up the stone carefully and put it in a shady and damp spot. She covered it gently with rich loose soil and went on her way. The worm was stunned. Instead of oblivion as he had hoped, he was suddenly in ideal conditions for living. “What can we little people do?” He had inquired and all this had happened. “What do I have to do?” He found himself asking. So he began to consume soil again. It was warm from the sun and life felt good again. What was warming to a far greater extent was when he realised that, as he began his journey upwards to the stone, somehow the elephant began to think about the early stages of her life. And it was timed just right, he marveled. I’m so grateful that you have come to know Paddy. What a remarkable gift for both of you! What a lovely parable, and so glad you are getting a chance to play witn clay!